This afternoon, Wikileaks released over 2,000 emails involving Hillary Clinton’s campaign chairman John Podesta. (He was the chief of staff for Bill Clinton from 1998 to 2001 and runs the Podesta Group, a ghoulish D.C. lobbying firm.) 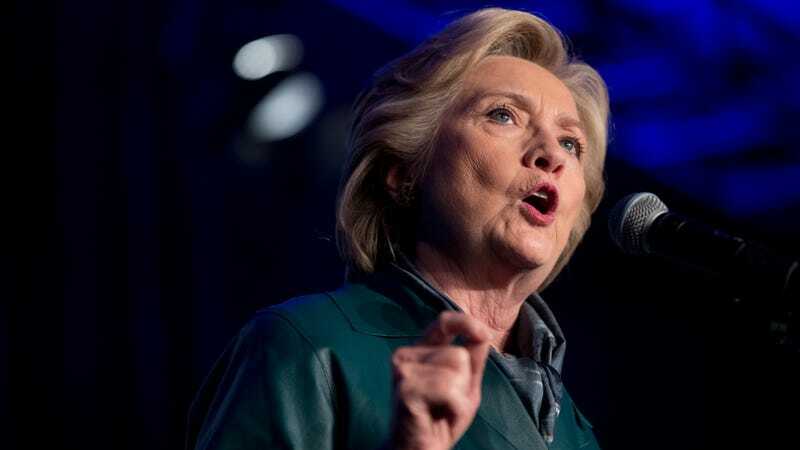 The most interesting nugget to surface thus far in the emails is a series of transcripts from paid speeches that Clinton gave to Goldman Sachs, Deutsche Bank, Morgan Stanley and others in 2013 and 2014, shortly after she resigned her post as Secretary of State. Clinton made $225,000 for one of the engagements, and Bernie Sanders and others attacked her for taking the gig during the Democratic primary. She briefly discussed releasing the transcripts, but this leak is the first time they’ve surfaced. BuzzFeed first reported on the transcripts. To get a sense of the thorny positions she took during those speeches, here are the subheaders that Carrk grouped the excerpts under. Most of them involve her close relationships with big banks.